From the majestic plains of the Serengeti to the untouched tropical beaches of Zanzibar, Tanzania is a place of extraordinary beauty and intoxicating culture. Tanzania is home to some of the most famous national parks in Africa and over 53 million people. Popular attractions include the Ngorongoro Crater in the north, Stone Town in Zanzibar and Mount Kilimanjaro. Get ready for unimaginable beauty and extraordinary experiences with cheap flights to Tanzania. Dar es Salaam is home to Julius Nyerere International Airport (DAR), which is 40-minute drive from the city centre. Tramp through the wild forests of Mahale Mountains National Park on a chimpanzee trekking safari, watch the great wildebeest and zebra migration across the Serengeti, or search for the iconic Big 5 in Ngorongoro. 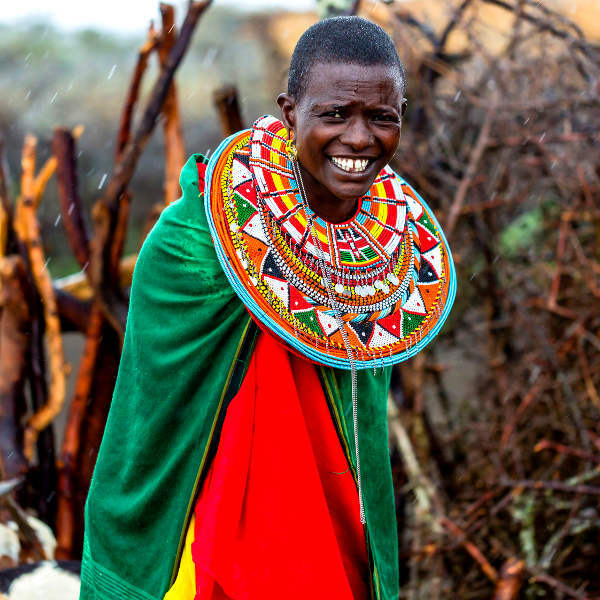 Watch Maasai tribesmen herding cattle in the Ngorongoro Crater; embark on a soul-stirring hike up Mount Kilimanjaro, a dormant volcano; glide across the glittering ocean in a traditional dhow; or explore the old city of Stone Town. The coast of Tanzania is a haven for tropical island paradises. Zanzibar offers up sublime turquoise and velveteen coastlines, while Pemba Island and Mafia Island offer unbelievable diving and snorkelling. Tanzania experiences a tropical climate, with two distinct seasons: wet and dry. The long rainy season lasts from March to May, while the dry season spans June to October. Temperatures can range from 33 degrees Celsius in summer to 8 degrees Celsius in winter. The coastal regions and islands are the hottest and most humid, while the interior is cooler. The best time to visit is during the dry season (June to October). The weather is wonderful during these months and game viewing is at its best. The best time to see the great wildebeest migration across the Serengeti is during June and July. The best time to visit for bird watching is during the wet season. For cheap flights to Tanzania, the best time to visit is from March to May. Tanzania is an East African country that is famous for its magnificent safari landscapes and dreamy tropical islands. It has been voted the best safari country in Africa. The Serengeti National Park is a safari mecca that quivers with wildlife. 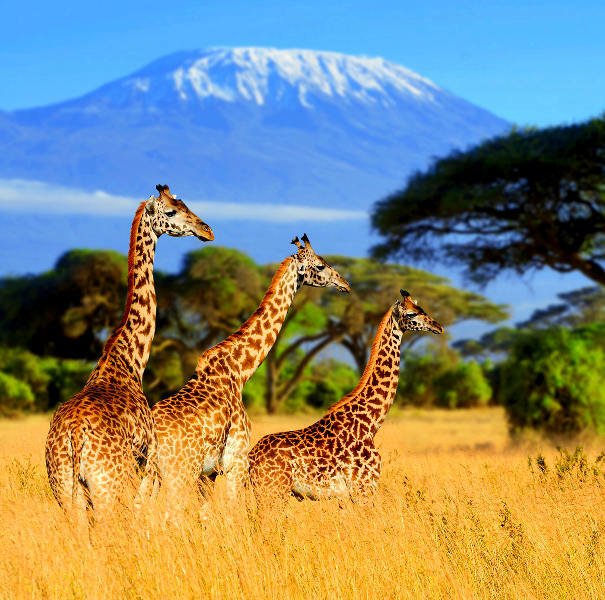 It is home to the Big 5 and watched over by the iconic snow-capped peaks of Mount Kilimanjaro. Head to the Ngorongoro Crater for astonishing wildlife displays, embark on a walking safari through Selous Game Reserve or search for chimpanzees in the Mahale Mountains. Lake Manyara is the perfect spot for bird and wildlife watching. For a taste of history visit the Isimila Stone Age Site and ruins of Kilwa Kisiwani and Songo Mnara. Visit a traditional Maasai Village in Mto wa Mbu village or stop at Bagamoyo and Pangani along the way to feel the rhythm of local life. 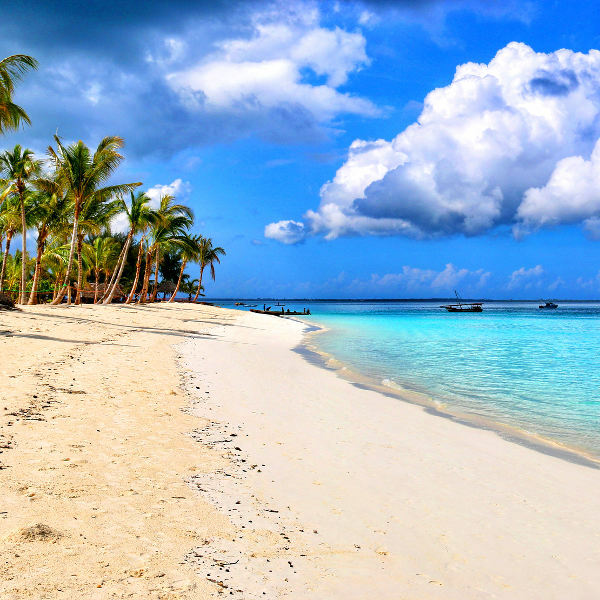 Zanzibar is a tropical paradise. Go diving off Pemba Island, tour a spice plantation, embark on a magical dhow cruise, wander through the ancient streets of Stone Town or visit a secluded island. Paradise awaits in Tanzania! Compare several airlines and book your cheap flights to Tanzania online at Travelstart! Although Tanzania is considered a relatively safe country, you should still use common sense and remain vigilant as you would in any other unfamiliar country. Travel insurance to cover theft and medical expenses is recommended. Check the latest government travel advisory to find out which areas should be avoided. Avoid carrying large sums of cash and valuables, as pick-pocketing does happen. Only make use of licensed taxi services. Long distance travel via buses should be avoided. Avoid venturing into isolated areas alone and wandering around at night (especially women). You should familiarise yourself with the local laws and customs before arriving. Proof of yellow fever vaccination is required if travelling from an infected area. Malaria, bilharzia, dengue and other insect borne diseases are a risk in Tanzania, so the necessary precautions should be taken to avoid bites and infection. Immunisation against hepatitis A & B, typhoid, TB and rabies is recommended. Routine vaccinations include MMR, diphtheria-tetanus-pertussis, meningitis, varicella, polio and influenza. Stick to bottled water.